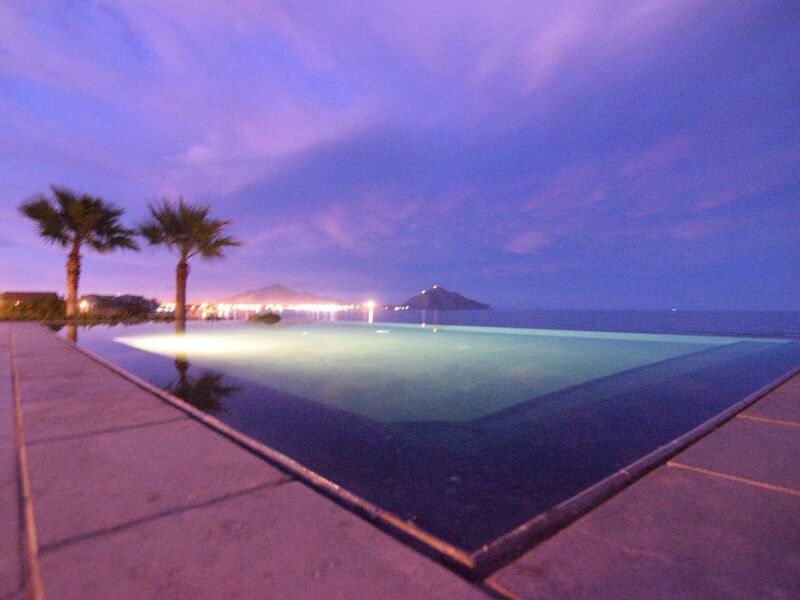 This home is Managed by MySanFelipeVacation, San Felipe's #1 vacation rental agency. As our Yelp reviews will confirm, we go all out for our guests. San Felipe is a quaint, friendly fishing village on the crystal blue sea of cortez with 360 days a year of great weather to kick back and relax. Playa del Paraiso is a gated community comprised of luxury vacation suites, spacious condominiums, fitness center, great pool, marina on ten acres of prime beachfront property. This glamorous 2 bedroom condo is located on the 6th floor, so if your worried about stairs, worry not there is a elevator that takes you directly to condo which is one level, with one incredible view of the beach and san felipe from the balcony where you can enjoy a Delicious BBQ or a coffee or margaritas and its furnished deck area. The living room is cozy and luxurious, with access to american Dish (satellite tv) and wifi the kitchen and dinning area are fully equipped for all your cooking and eating needs. The Master bedroom has a huge king size bed with a Tv and an enormous full size bathroom. The second bedroom has two queen size beds also with tv, also with a huge bathroom full size. also an onsite Gym for your use. One of my favorite activity in San Felipe is fishing trip to Konsag Island. You can see the video I made on Youtube called "San Felipe Fishing and Sightseeing trip to Konsag island"
If arriving after 8PM, there is a $25 required on arrival. This goes to pay reservationist overtime. This home is Managed by MySanFelipeVacation, San Felipe's #1 vacation rental agency. Guest provide all cooking condiments; salt, pepper, etc. This rental is very close to a jetty where you can easily launch your jet-ski or boat. MONTHLY RENTALS - Utilities are extra This home is Managed by MySanFelipeVacation, San Felipe's #1 vacation rental agency. As our Yelp reviews will confirm, we go all out for our guests.